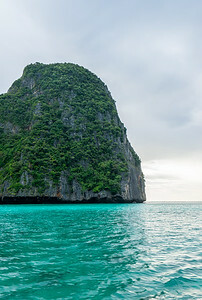 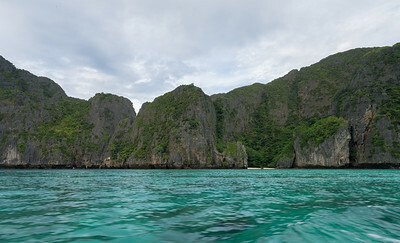 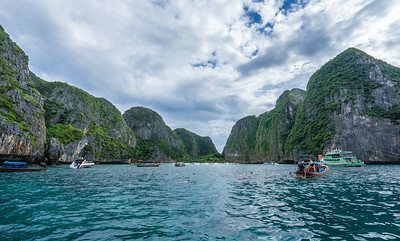 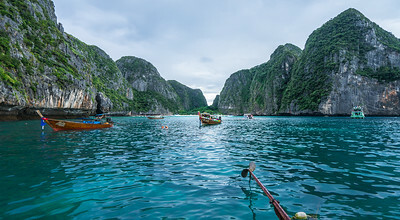 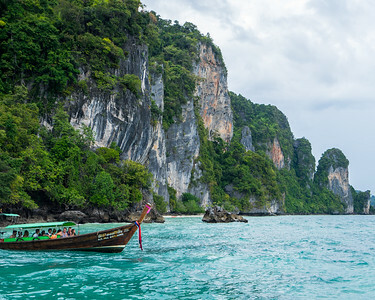 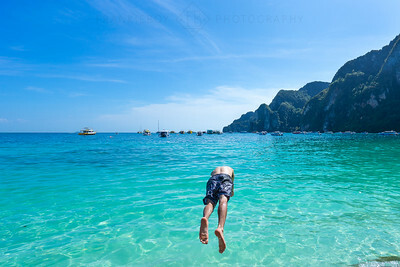 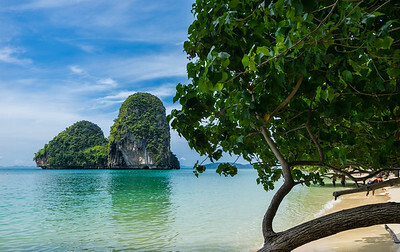 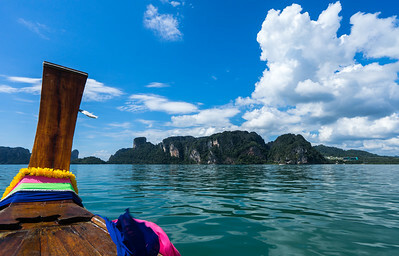 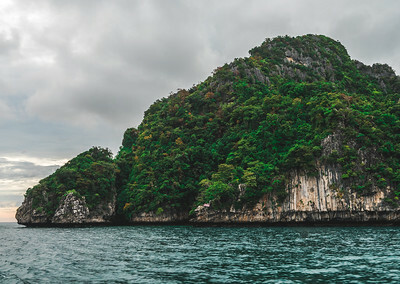 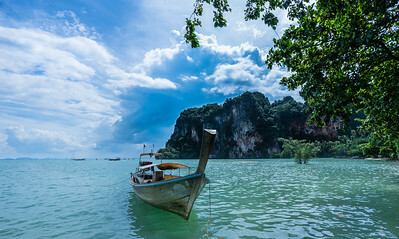 Photograph of Maya Bay in Ko Phi Phi Don Thailand. 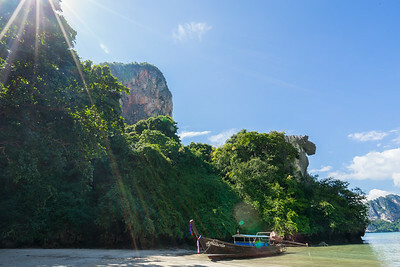 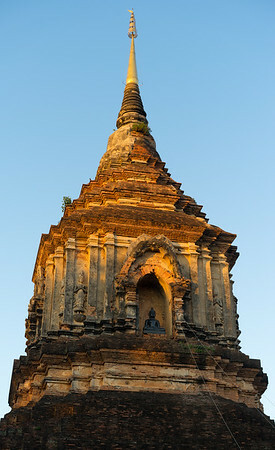 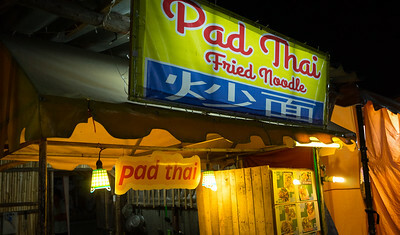 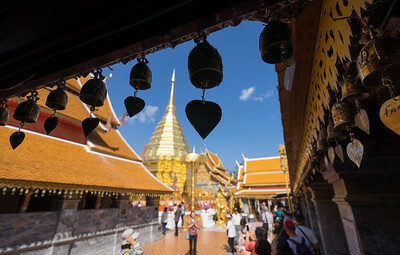 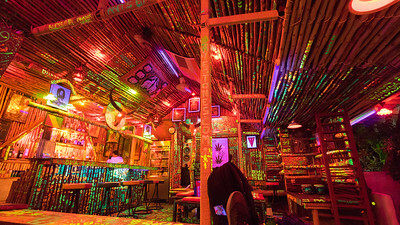 This location is famous for the film "The Beach". 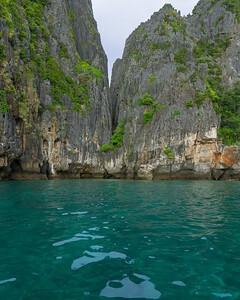 This beach with turquoise waters is surrounded by gigantic limestone cliffs. 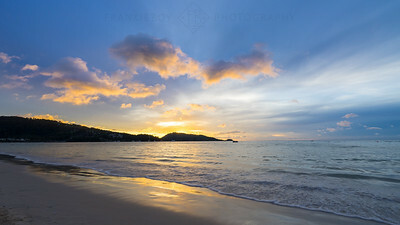 Although it looks peaceful, these beaches were overrun with tourists therefore I tried to capture the more relaxed parts of the island. 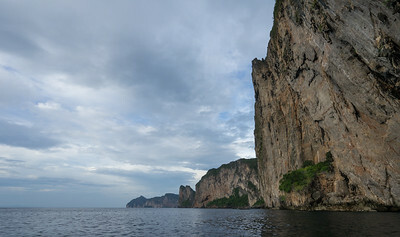 This photograph captures paradise; flora covered tall cliffs and the beach. 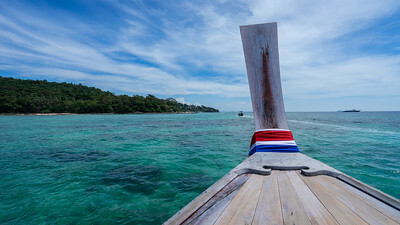 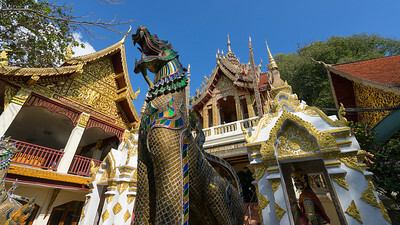 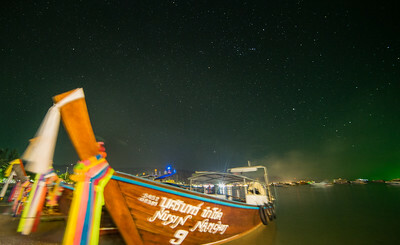 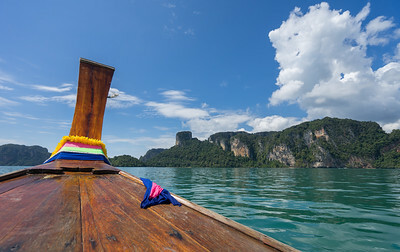 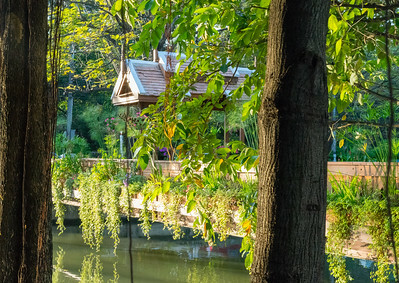 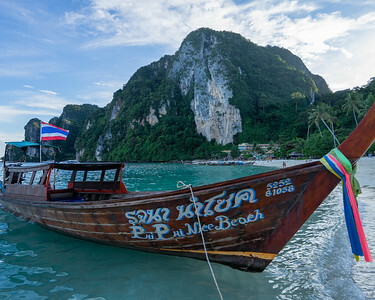 The best way to get around Thailand: taxi boat! 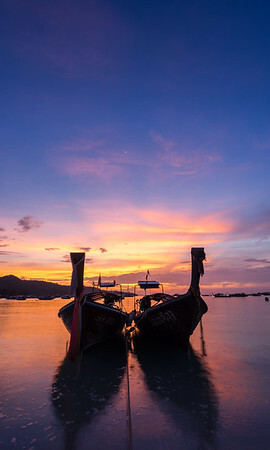 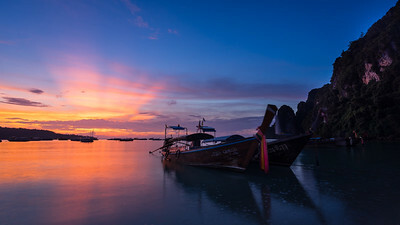 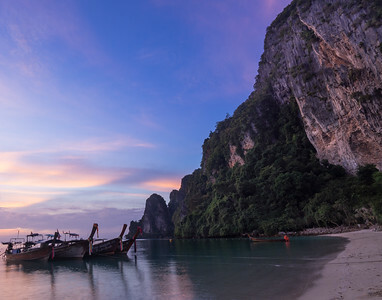 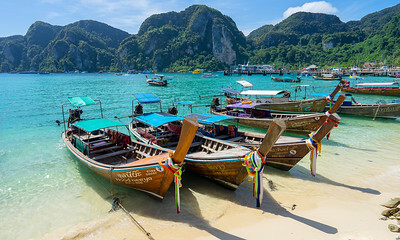 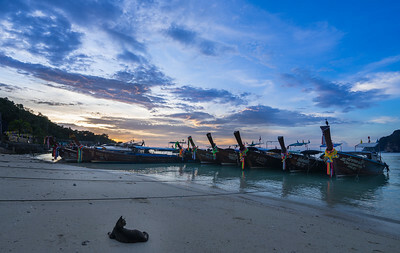 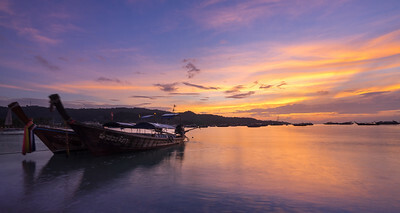 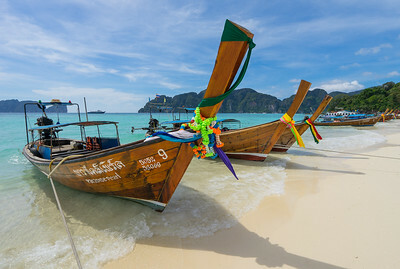 The colorful Thai sun rises over the Long Tail boats docked up against Koh Phi Phi, Thailand. 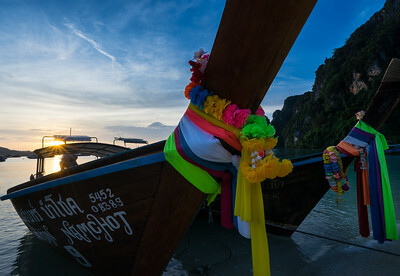 Woke up early one morning when we stayed on Koh Phi Phi, and captured this colorful sunrise in Thailand. 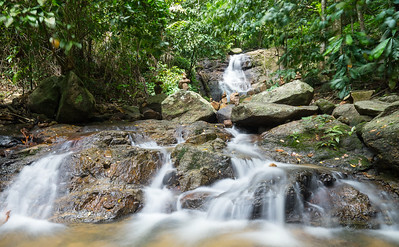 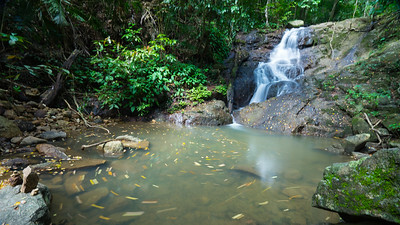 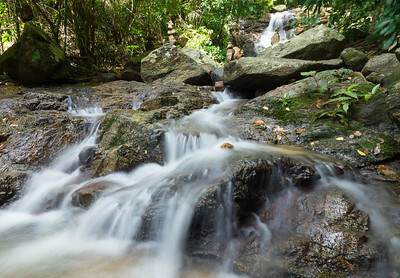 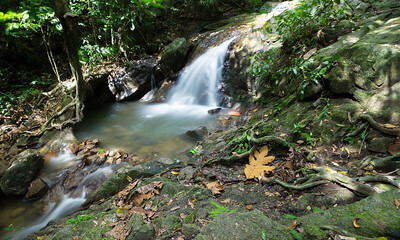 We rent a motor bike and set off in search of Thailand's waterfalls - here's Kathu falls just outside Phuket, Thailand. 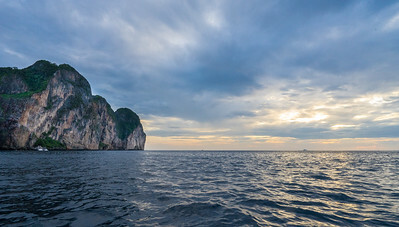 We walked the island looking for some different accommodations to continue our time on Koh Phi Phi - here's a sunset from the other side of the island. 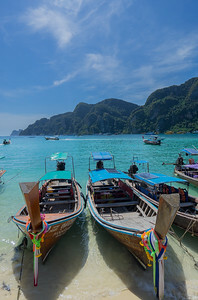 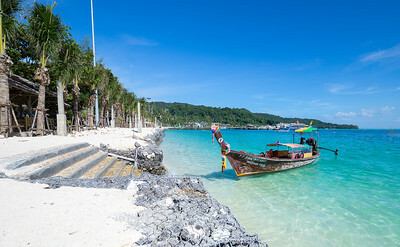 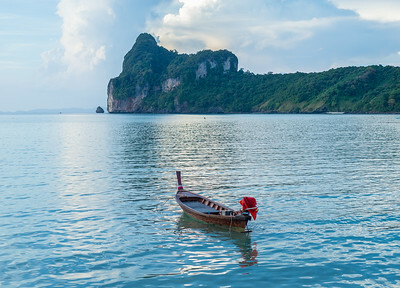 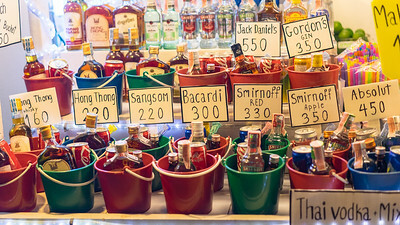 Boats come in and out of Koh Phi Phi all day long... this beautiful destination is a must-visit if your in Thailand. 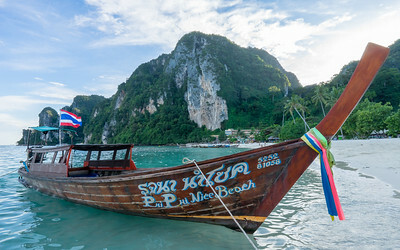 Using Koh Phi Phi finest means of transportation - Long Tail Taxi Boat to Long Beach for a day of sun bathing.